If fresh seafood, beautiful beaches, natural splendour and historic towns are high on the wish list, Corsica real estate could be just the thing. So unique and so authentic, Corsica is a truly enchanting Mediterranean island and unspoilt gem. 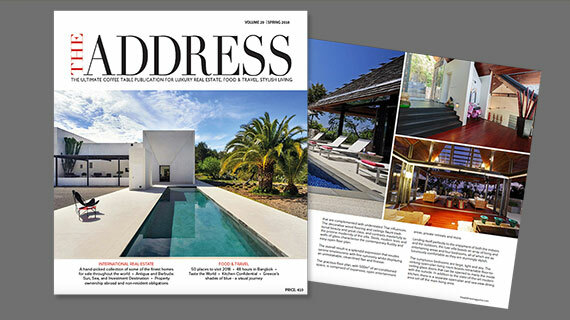 Without question, Corsica beckons to Francophiles, wine lovers and holiday homebuyers of exquisite taste. It bewitches all who land ashore. 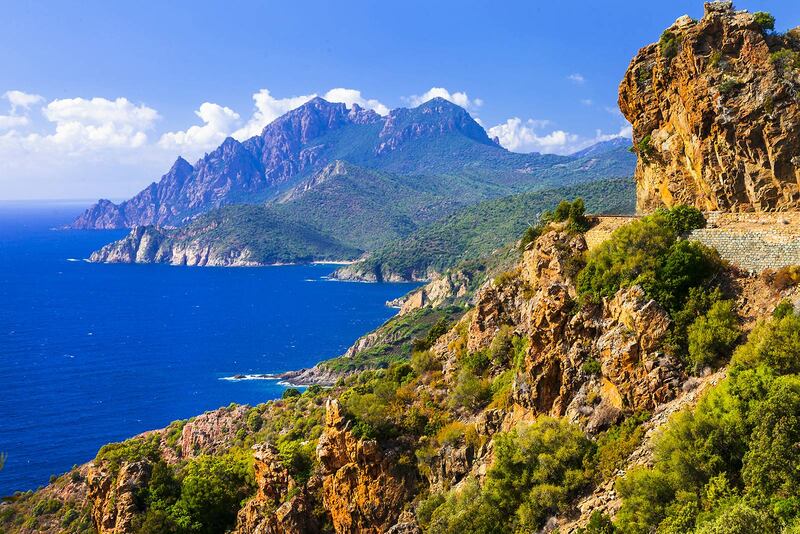 Known by the French as l’Île de Beauté (the Island of Beauty), Corsica merits its labels with its truly spectacular scenery that marks not only the coastline, but the countryside as well. Combined with its enticing climate, fascinating culture, welcoming locals, excellent food and local wines, Corsica’s abundant charms attract discerning visitors from far and wide, year after year. Unbelievably natural and wild, Corsica owes a large part of its popularity to its exceptional diversity and wealth. Having a spectacular natural beauty unsurpassed in most of mainland France, the scenic landscape is rich in aromatic vegetation, with vibrantly coloured wild flowers, olive groves, pine forests, rolling vineyards and fruit farms. Villages perched on steep hillsides, with an eclectic mix of Baroque, Pisan and Genoese churches, rugged mountains standing high above and lush green countryside leading down to implausibly clear turquoise waters, combine to make Corsica a charming, untainted and effortlessly beautiful holiday home destination. The enduring appeal of Corsica is its many stunning contrasts: from white sandy beaches to dramatic snow-capped mountain peaks; from sublime chestnut forests to pine-scented hillsides; from picturesque harbour towns to fortified medieval villages; from spectacular granite cliffs to secluded coves; from exceptional vineyards to vibrant towns of French possession. Despite its international popularity, Corsica has managed to preserve its exceptional natural heritage. Corsica’s glorious interior is a hiker’s and mountain biker&apos;s paradise, with its many picturesque walking and cycling trails. It is criss-crossed by one of Europe’s most challenging hiking trails, the legendary GR20, much of it at a height of 2,000 metres and wending its way through designated parkland. The pristine island is also home to winter sport adventures, including alpine skiing, cross-country skiing, snowshoeing and snowboarding. Uniquely, in certain months, one may hit the snow and the sea in the same day. Despite its proximity to France and Italy, the beautiful island of Corsica remains distinctive in both its history and culture, where the islanders are fiercely proud of their ancient heritage, wealth of traditions and wonderful landscape. Exquisitely located in the Mediterranean Sea west of Italy, south-west of France and north of Sardinia, Corsica is increasingly accessible. It boasts four international airports: Ajaccio, Bastia, Calvi and Figari (near Porto Vecchio). Given the island’s diminutive size, that is quite a selection. Alternatively, visitors may fly into the airports of Marseille, Nice or Toulon, then catch a ferry to the island. The island boasts a long-held and irresistible allure for in-the-know Europeans, with the French having made up the bulk of buyers of Corsica property. Traditionally, second homes have tended to be purchased along the coastline but in recent years, due to the shortage, buyers are hunting down interesting opportunities inland as well. Wealthy property seekers from Paris and other European places have shown they are prepared to pay good prices to acquire beautifully located properties in Corsica. Luxury properties here are resilient against the downward price trends that have struck other areas, with the island’s popularity on the upswing. Adding to the price strength are the strict controls on development that ensure demand outpaces supply. Estimates are that up to 40% of Corsica real estate are now owned by non-residents, a fact that has contributed strongly to soaring prices as more and more people search the island for ideal second homes. As a result, local residents have found themselves often priced out of the real estate market. Consequently, the local politicians voted to impose a ban on non-permanent residents purchasing real estate, although legal experts are doubtful this ban will ever be enshrined into law. In order to be implemented, the law banning foreign buyers would require passage by France’s National Assembly and Senate, a fact seemingly unlikely. But even if that occurred, many believe the French courts would deem the law unconstitutional. And still, a further hurdle the law would have to pass would be the European Union. With so many possible pitfalls, it seems unlikely the ban will ever be implemented. Meanwhile, despite its popularity, the island remains remarkably unspoilt, unchanged and untamed, with vacation home owners enjoying the sedate lifestyle on offer. Shamelessly seductive, Corsica is by far one of the most incredibly beautiful spots in the world and is a fabulous place to buy a Mediterranean holiday home or a second home.